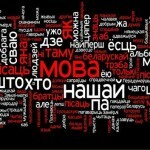 The Anglo-Belarusian Society is happy to invite its members and friends to the annual Mother Language Day celebration. The celebration will start on Saturday 8 March 2014 at 2 pm at the Belarusian House in Islington (Belarusian House, 52 Penn Road, N7 9RE). Adults and children will be asked to read their favourite poems in Belarusian, English or another language (no need to learn it by heart!). There will be prizes (the £50 Alexander Lutsko Prize* and smaller prizes for children) for the best reading. Please confirm your participation by completing the form. This entry was posted in ABS and tagged Anglo-Belarusian Society, Belarusian House. Bookmark the permalink.